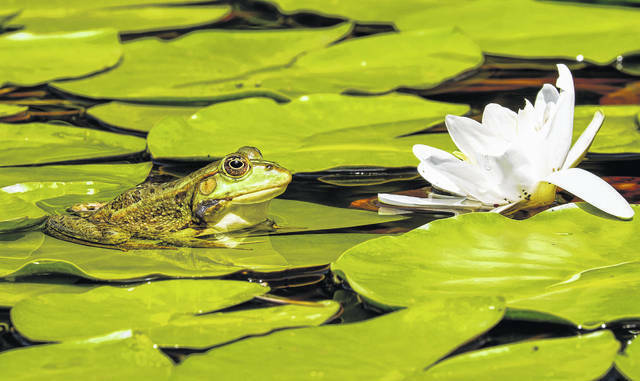 Learn about pond management at a clinic hosted by OSU Extension on March 27 from 6 to 8 p.m.
Ponds can add beauty and serenity to our landscapes but can also be a challenge to manage. Many factors affect the health and viability of a pond ecosystem. Learning techniques to properly construct a pond and manage aquatic life will better enable pond owners to meet their goals. Learn more about pond management at the clinic hosted by OSU Extension on March 27 from 6 to 8 p.m. The event will feature Eugene Braig, OSU Extension’s Aquatic Ecosystems Specialist, who will discuss aquatic plant management. Dale Goddard, with the Champaign Soil and Water Conservation District, will address construction and watershed area requirements needed to have a successful pond. Nutrient management around ponds will be covered by Amanda Douridas with OSU Extension. The event will be held in the auditorium of the Champaign County Community Center, 1512 S. U.S. Route 68, Urbana. The cost is $10 per person. Please RSVP by March 25. Questions can be directed to Amanda Douridas at Douridas.9@osu.edu or 937-484-1526. The registration flier can be downloaded at go.osu.edu/agevents or you can call or come into the office.